For an overview of EcoSmart Insulating Shades view our short movie. 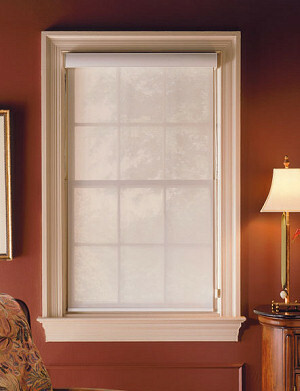 EcoSmart Insulating Shades can be used alone or combined with roman shades, drapery, top treatments, or sheer blinds. 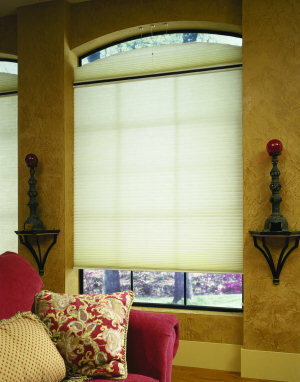 EcoSmart Insulating Shades are attractive cellular window shades and versatile enough to fit almost any design style. They have been designed for long life, ease of operation and high energy savings. EcoSmart Roller Shades offer privacy and shading as well as energy saving. Each shade is custom made by experienced craftsmen and women to fit each window perfectly. EcoSmart offers superior features which exceed the industry standards for cellular window shades. Compare and you’ll see what a difference there is in terms of energy efficiency, longevity and ease of operation. Available at a quality window treatment center. Contact one of our dealers for pricing and installation of EcoSmart Cellular Shades and EcoSmart Rollers shades. Both made in the USA by quality craftspeople.